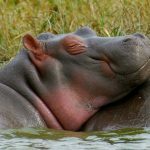 A safari is an exciting, educational, adventurous, and unique vacation choice that requires a fair amount of pre-planning. Once you have your itinerary, visas, vaccinations and malaria pills all sorted out, there’s one more thing that is worth reading up on — How to Behave on Safari! You may be surprised to learn that besides the unspoken khaki dress code, a safari also has its very own etiquette. 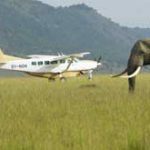 To make sure you get the most out of your time in Africa, there are a few things you should NOT do in order to guarantee an enjoyable and most importantly, a safe safari. Animal Spotting: Don’t expect to see the “Big Five” on your first game drive; you are not visiting a zoo. Your guides, trackers and drivers will do their best to find every animal you have on your wish list, but there’s no guarantee you’ll see everything. Parks and reserves are vast, the animals are unpredictable, and they all wear camouflage. Make sure you communicate what you are interested in and what you may have seen on previous drives to better your chances. On shared game drives, respect your fellow passengers wishes to stop and spend time looking at animals they want to see. Likewise, don’t make the driver stop for every single impala, if your fellow passengers are not interested at all. You’ll enjoy your safari much more if you sit back and enjoy all the bush has to offer, both big and small. Stay in the Vehicle: Never get out of your safari vehicle without asking your guide/driver if it is safe to do so. You don’t want to end up as lunch. No matter how tempting it may be to get that perfect photo of you with a giraffe in the background … don’t do it. The giraffe may not attack, but a crouching lion nearby in the tall grass is hard to spot until it’s too late. The wildlife is wild and your guide is your parent or teacher, you always need to ask permission to leave! Nature documentaries are wonderful at teaching you all about animal behavior, but their narrators set the absolute worst example when it comes to safari behavior by wandering up close to the animals. If you are staying in a safari camp with no fencing, you must also never walk around at night without a guard escorting you. No matter how close the dining tent might be and how tempting it is to just quickly walk over, your night vision is not nearly as good as a hippo’s or a buffalo. They see you, you cannot see them. 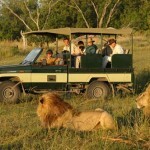 Ditch the Cell Phone: When you are on a game drive, bush walk, or mokoro ride, leave the cell phone at the camp/lodge. 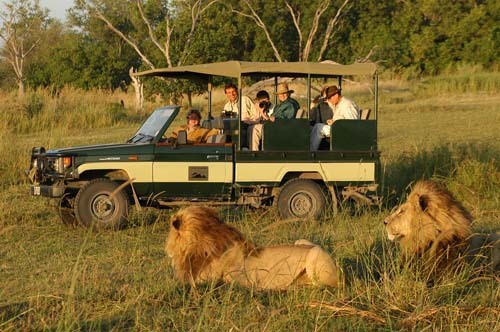 Many of your safari activities will be “shared” with other guests staying at your camp or lodge. There’s nothing more irritating than someone chatting to their friends or texting, while others are trying to immerse themselves in the African safari experience. You can tweet or post your experiences when you get back to camp; the world will wait. Bringing Young Children? If you are on safari with young children (under 10), we would have advised you to make sure you have an exclusive vehicle for your party when going out on game drives. 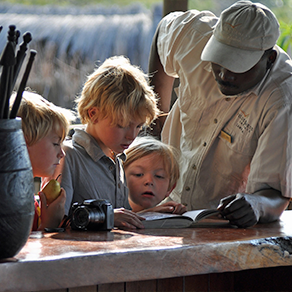 Game drives are long and young children can easily get bored. 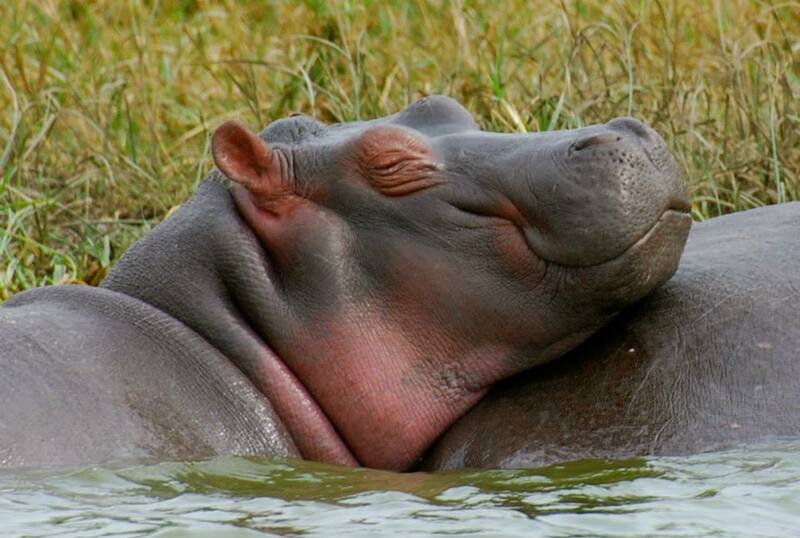 To avoid grumpy fellow passengers, and for your own sanity, it’s best to opt for short private game drives. 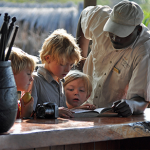 We love planning safaris for families with children and select properties best suited to offer shorter game drives, quick meals, and excellent hands on safari activities to keep them entertained and safe. 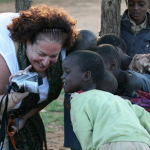 Mute the Camera: Don’t edit and delete photos from your camera to make room for more, during a game drive. The constant digital beeping is really irritating and totally ruins the natural sounds of the bush. Some cameras also beep and whirr when zooming in and out. Edit and mess around with your photos back at camp. If you’re running out of room and you have to get rid of some shots, please mute the camera. Your fellow safari-goers will be very appreciative. More tips on “shooting wildlife”…. Mute Your Voice: A safari is a social vacation. You’ll likely be sharing a vehicle with others and many camps also encourage dining together. There’s plenty to talk about and plenty of time to talk. But on a game drive or nature walk, try and keep in mind that animals will be distracted by your voices and will tend to move away when they hear them. If someone is shooting a video, don’t start a conversation, keep quiet so they can get some decent footage without human noises interfering. If you’ve been on safari before, don’t constantly regale others with your knowledge or supersede the guide when he is explaining animal behavior or what you’re looking at. It can get annoying very quickly. Also, try not to boast too much about what you’ve seen when back at camp, or what you saw on your last safari. You can easily ruin the safari for other guests and make them feel like they’ve had a lesser experience. Bringing Gifts: There’s an art to giving, and while the act of giving is always appreciated there are some guidelines that will benefit those you are seeking to help. Offering children gifts or buying trinkets from children encourages them to stay out of school, in the hopes of getting more from tourists in the future. Please don’t bring sweets for children or gifts for people (unless you know them personally). There are plenty of ways you can help, and a cash donation to the right place goes a lot further than anything else. Ask us for advice and we’ll make sure to channel your generosity in the right direction. Tipping: Don’t forget to tip your guides, drivers and camp staff while on safari. Tips make up a big percentage of the staff’s salary. 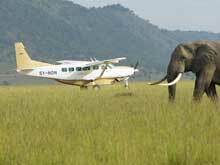 While tipping is always discretionary, it’s unlikely you will experience mediocre service on one of our safaris! We always include guidelines on how much to tip before you go. Avoid Getting Sick: Make sure you are up to date on all your vaccines (check on yellow fever requirements) and have visited a travel clinic before you depart on your safari. Don’t forget to take malaria prophylactics while on safari, there are only a few safari destinations (in South Africa) that are malaria-free. Drink water that has been boiled or is bottled (ask if you are unsure). Stay hydrated and protect yourself from the sun. More tips on staying healthy while on safari. Don’t Be Rude: African societies are much more polite in general than in the US. Greeting people is considered polite and should not be rushed. If you need to ask someone a question, don’t launch into it before saying “hello, and how are you?”, and wait for their response. If you wish to take a photo of somebody, always ask them first. 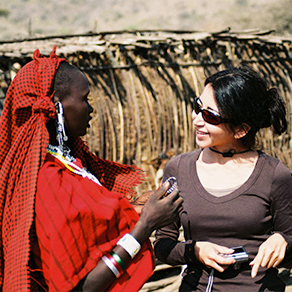 If you think your question may not be understood directly, ask your safari guide, or someone who can interpret to ask for you. Don’t assume a lack of response is equivalent to a “yes”. Speaking slower and loudly will not make it easier for someone to understand your language! Using a “local accent” is also not acceptable, nor is making fun of someone’s use of English. We’ve all had a giggle at menus offering “Lioness Potatoes” for Lyonnaise Potatoes — but never do so in the presence of someone who may feel laughed at. Do not wear skimpy outfits unless appropriate on a beach or by a pool. It’s not only the Islamic coastal communities that would be offended by this, but many African rural communities tend to be somewhat conservative in their dress, regardless of their religious backgrounds.